The Creator must be before His creation can be. God was before He created. All-That-Is is God and His Creation. Therefore, there was a condition of All-That-Is where there was only God. Before He created, All-That-Is was God. Therefore in God there is no disunity. In God there is perfect unity. God in Himself is perfect in unity. Perfect unity is the condition of existence in which there are no differences by which to be distinguished. It is the condition of perfect oneness in all aspects of existence. In perfect unity there is no distinction of one from another. In such a condition of existence there was neither subject to perceive nor object to be perceived. If there was neither subject to perceive nor object to be perceived, then there can have been no activity of mind. Therefore in the condition of existence where All-That-Is was God, there can have been no activity of mind. Awareness requires the activity of mind. Therefore when All-That-Is was God, He was not aware. Mind is the capability to experience existence. Therefore the experience of existence requires the activity of mind. Therefore when All-That-Is was God, there was in Him no experience of existence. All experience of existence is had by mind. All that is other than God is His creation. Therefore in God all experience of existence is had in His relation to His creation. If there is no purpose to creation, then there is no reasonable way to account for suffering in the creation of One who is perfect in love and knowledge and to whom all power belongs. Therefore God created with a purpose. As God is perfect, so too must be His creation for the purpose that He has ordained for it. Therefore, before He created, His was the condition of perfect solitary existence. If perfect solitary existence had been for God the perfect condition of existence, then He would not have created; but He did create. That God did create informs us that the condition of existence in which He is in relation only to His own creation is preferable to the condition of perfect solitary existence. That the condition of existence in which He is in relation only to His own creation is preferable to the condition of perfect solitary existence informs us that He will not return to a condition of perfect solitary existence. To do so would be to render all of His works purposeless, or it would imply that God had made a mistake. God does not act purposelessly and He does not make mistakes. Therefore it is preferable to God that He shall be in eternal relation to His creation. Therefore the condition of existence that He prefers must also be perfect. All knowledge is in God. His knowledge is perfect and had no beginning. Therefore, before God created, He had perfect knowledge of what will ultimately be the perfect condition of existence. Therefore the condition of existence that God has purposed since before He created will be the perfect condition of existence. God has purposed that He shall be in eternal relation to His creation. Therefore the condition of existence in which God will be in eternal relation to His creation will be the perfect condition of existence. The perfect experience of existence can only be had in the perfect condition of existence. Therefore God will have His perfect experience of existence in His eternal relation to His creation. In the beginning creation was without form. Therefore in the beginning His experience of existence was entirely of Himself in relation to His formless creation. If His experience of existence in relation to His formless creation had been His perfect experience of existing, then He would not have given His creation form; but He did give it form. Therefore His perfect experience of existing will be one in which He is in eternal relation to His formed creation. God could have formed His creation without causing it to be inhabited by living creatures. If His experience of existence in relation to a cosmos without living creatures had been His perfect experience of existing, then He would not have created living creatures; but He did create living creatures. God is perfect in love and knowledge and is the owner of all power. He did not needlessly create suffering. God’s perfect experience of existence will be one in which He is in eternal relation to His formed creation. Within His formed creation His creatures are absolutely necessary for the accomplishment of His ultimate purpose. Therefore God’s ultimate purpose in creating is that He shall have the perfect and eternal experience of existence in relation to His creatures. Therefore God is perfect in love. Love is experienced only in the relation of one to another. Therefore God’s own creation is the sole object of His love. God’s ultimate purpose in creating is that He shall have the perfect and eternal experience of existence in relation to His creatures. Therefore God’s own creatures will ultimately be the sole object of His love. God does not cease to love whatsoever He loves. Therefore, because His creatures will ultimately be the sole object of His love, they must now be the sole object of His love. Therefore God loves His creatures perfectly and absolutely. God’s ultimate purpose in creating is that He shall have the perfect and eternal experience of existing in relation with His creatures. His experience of existence will be perfect only when His experience of love is perfect. His creatures are the sole object of His love. Therefore God’s ultimate purpose in creating is that He shall have the experience of perfect and eternal love in relation to His creatures. The experience of love cannot be perfect unless it is reciprocated. Therefore God’s experience of love will be perfect only when the love that He has for His creatures is reciprocated by them. Within Creation it is only those creatures endowed with the capacity to love who can love God. Therefore God’s ultimate purpose in creating will not be fully realised until those of His creatures endowed with the capacity to love Him reciprocate the love that He has for them. Therefore God’s creatures shall participate in bringing His purpose to pass by loving Him. God’s ultimate purpose in creating is that He shall have the experience of perfect and eternal love in His relation to those of His creatures who are endowed with the capacity to love Him. His purpose in creating will not be fully realised until those of His creatures endowed with the capacity to love Him reciprocate the love that He has for them. His creatures shall participate in bringing His purpose to pass by loving Him. Therefore the purpose that God has ordained for all creatures who are endowed with the capacity to love Him is to love Him as fully as they are able. Therefore the individual purpose of each and every creature endowed with the capacity to love God is to love Him as fully as they are able. God’s purpose is the command of His soul. Therefore it is the will of God that each and every one of us shall love Him as fully as we are able. The will of God is articulated in His commandments. “Hear, O Israel! YHWH is our God, YHWH is one. That is to say, God created all that is not Him, and before He created there was only Him. I have made this point in two different ways and in successive lines because I particularly want to impress it upon all who are contemplating God to any extent. There is no more fundamental and crucial an understanding of God than that before He created, He was All-That-Is; the totality of Existence, besides Whom there was none other. For an authoritative statement of the Jewish understanding of the perfect unity of God, see Maimonides’ Guide, Ch.51 (LI), where he puts it as follows: “Belief in unity cannot mean essentially anything but the belief in one single homogenous uncompounded essence; not in a plurality of ideas but in a single idea. Whichever way you look at it, and however you examine it, you must find it to be one, not dividing itself in any manner or for any reason into two ideas. No plurality must be discoverable in it either in fact or in thought” (Quoted from: Maimonides, The Guide of the Perplexed, An Abridged Edition with Introduction and Commentary by Julius Guttmann, Translated from the Arabic by Chaim Rabin,Indianapolis: Hackett Publishing Company, 1995, p.67-68). Pines translates the same passage as follows: “For there is no oneness at all except in believing that there is one simple essence in which there is no complexity or multiplication of notions, but one notion only; so that from whatever angle you regard it and from whatever point of view you consider it, you will find that it is one, not divided in any way and by any cause into two notions; and you will not find therein any multiplicity either in the thing as it is outside of the mind or as it is in the mind” (Pines S., Vol. I, University of Chicago press, 1963, p.113). Alternatively, Friedlander’s translation of this passage is available online at: http://www.sacred-texts.com/jud/gfp/gfp061.htm, p.69. For an authoritative Jewish statement of this understanding, see: Maimonides M. Guide, Ch.53 (LIII), where he put it thus: “if by wisdom we understand the consciousness of self… the subject and the object of that consciousness are undoubtedly identical [as regards God]: for according to our opinion He is not composed of an element that apprehends and another that does not apprehend”. 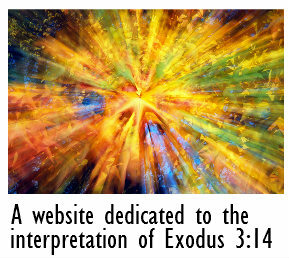 Available online at: http://www.sacred-texts.com/jud/gfp/gfp063.htm, p.74. Pines translates the same extract as follows: “For we wished to signify by “knowledge” the apprehension of one’s own essence. Now the essence that apprehends is undoubtedly the same as the essence that is apprehended. For in our opinion He is not composed of two things, the thing that apprehends and another thing that does not apprehend.” (Pines, Vol. I, p.122). See the Explanation of the Meaning of the Name on this website. The concept of absolute need does not imply any imperfection in the Personal existence of God. An absolute need is a need that is intrinsic to and implied by the perfection of His existence. It is because He is perfect that He cannot but conform to the logical necessities of His own perfection. Moreover, an absolute need is not a need in the Personal existence of God; it is a need in the realm of existence. An example of such an absolute need is to be found in the Explanation of the Meaning of the Name where I identified an absolute need for there to have been something other than God in the realm of existence in order for Him to have become aware. Before He created all that is other than Him, God was All-That-Is, and so there was nothing else for Him to be aware of. The perfect unity of His essence excludes the possibility of God having become aware of Himself without first becoming aware of something other than Himself, and so there was an absolute need for there to be something other than Him in the realm of existence in order for Him to become aware. Without that ‘something other’ God could not have become aware, and hence it was an absolute need. That does not imply any need or imperfection in God any more than saying that He as Creator needs a creation in order to be Creator. It is simply a logical and ontological necessity of His Personal existence. At this point in the explanation I am identifying His creatures as an absolute need in His creation, because there is otherwise no way to make reasonable sense of the suffering they endure in the creation of One who is perfect in love and knowledge and to whom all power belongs. His creatures must be absolute necessary in His creation because if they were not then their presence in it would contradict His perfection. Nor is it difficult to make sense of the suffering of His creatures providing it is considered dispassionately, and providing it is kept clearly in mind that before God created He was absolutely and perfectly One and All-That-Is. It is this that informs us that Creation must somehow have come forth from His essence (the kabbalistic concept of ’emanation’), and so His creatures are truly and literally from Him. He is the “Father-and-Mother” of us all, as stated in the exchange between Honi the Circle Maker and Simeon ben Shatah in the Talmud, Berakhot 19a3. In Bialik and Ravnitzky’s The Book of Legends (Legends from the Talmud and Midrash, (NY: Schocken Books, 1992, p.203, n.2), the term “Father and Mother” in Berakoth 19a3 is described as “a very bold epithet for God the Creator”. Given this understanding, the question that must be asked is how does The Perfect One become truly more than one? How does He who is perfectly One and All-That-Is come to be in true relationships with the persons who are His creatures, and who are at once from His own essence and yet absolutely distinct from Him? After all, for creation to be understood as having a Divinely ordained purpose there must be a true relationship between God and His creatures, and that true relationship requires the Person of the Creator and the persons of His creatures to be absolutely distinct. It is the creation of that distinction that necessarily and inevitably results in the suffering of His creatures. It is not God’s desire that we should suffer. It simply cannot be any other way, because it is intrinsic to and implied by the perfect unity of His essence. Moreover, I believe that it is a very important part of our job in Creation to do all that we can to relieve the burden of suffering within it, which we can do by showing compassion to all of God’s sentient creatures. Such compassion for His creatures is a way of loving Him in practice. This is the purpose that God has for His creation, and so is the first of the two answers we are seeking. There remains the question of our purpose in His creation, which I will now address. That all power belongs to God is implied by the fact that He was All-That-Is before He created. This obviously implies that all power in the realm of being was His before He created, and so all manifestations of power in Creation are manifestations of His power and are subject to His will. Many will no doubt see in this statement a contradiction of the doctrine of Free Will. However, I am not suggesting that any individual is under any compulsion to love God. Everybody is free to spurn God and act in ways that are obviously contrary to His will, and many do exactly that. When I say that God’s creatures do not ultimately have any say in whether or not they love Him I am simply stating the obvious, because if it is God’s will that a thing shall be then it shall be. There is no power in existence that can oppose Him because all power is His, and so if it is His will that his creatures shall love Him then they shall love Him. How such a scenario might unfold in the future of Humanity and the future of Creation is as open to speculation. Now of course many would argue that love cannot be demanded of anyone, and so how can they be blamed for not loving God? While that argument has some merit when applied to our fellow humans, it does not apply to God. If we can know God then we can love Him, because He is perfect. We can come to know God, and so we can come to love Him. Moreover, to love God is one of the 613 commandments listed by Maimonides, which indicates that according to him the love of God can be demanded by Him. I agree with Maimonides. However, what cannot be demanded of anyone is the willingness to love God. That is entirely their decision. Finally, for those who believe in God but are not sure that they love Him, they should rest assured that all of the good they do for their fellow creatures and all of the evil they eschew are ways of loving God in practice, and so perhaps a great deal more people love God than are aware of it. This is our purpose in God’s creation, and so is the second of the two answers we are seeking. Lest this might give the impression that God is acting selfishly and is indifferent to the suffering of His creatures, I will clarify. Think of God’s relationship with His creatures by analogy to the relationship a parent has with their child. The parent can choose not to have the child at all, and so there will be no new person to experience anything. If the parent does choose to have a child in the hope that it will be happy and that there will be a bond of mutual love between them, then there is no way to accomplish that without being the original cause of whatever hardships and sufferings that child endures. The parent does not want their child to struggle and suffer, but these are a greater or lesser part of all normal and wholesome lives, and so there is no way for the parent to safeguard their children from them except by being a good parent. We are all the children of God. If He did not create us then we would not suffer, but we would also not have the possibility of great joy and love, and the greatest joy of all that is being in relation to God for eternity. So He creates us, but like any parent He cannot safeguard us from hardship and suffering if we are to grow into individuals who can live in true relation to him and thus have the possibility of a mutually loving relationship with Him. It is ultimately we who benefit from being created. God does not need each one of us, but each one of us does need Him. The choice is ours, but His purpose will be brought to pass with or without us. See: Diagram: The Creative Activity of God in this website for a schematic representation of the ontological sequence of purpose and will, and see the Exegetical Key at the head of this paper for the place of ‘purpose’ in the ultimate scheme of things.